217 Boxes of Dr. Henry Anonymous is a must-see play for queer millennials and older gay men alike! 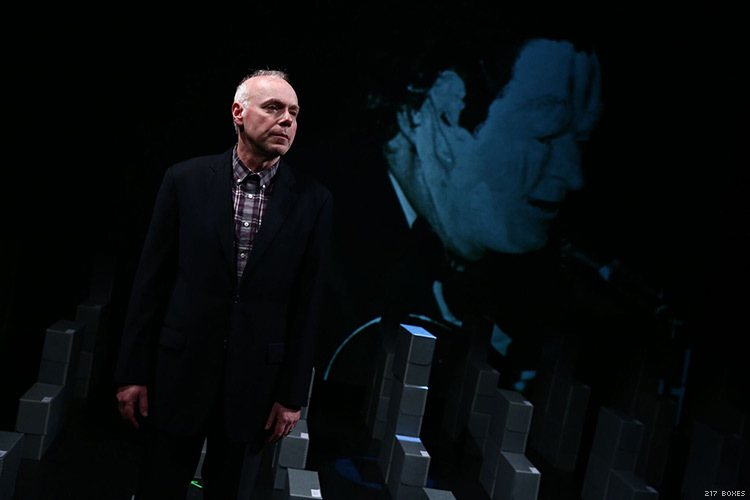 The Off-Broadway play, 217 Boxes of Dr. Henry Anonymous (directed and written by Ain Gordon), tells the story of one of the most influential gay rights activists you’ve most likely never heard of. He was in large part responsible for the scientific community no longer thinking of homosexuality as an illness. As recent as the early 1970s, homosexuality was not only considered a sin, it was considered a mental disease and sociopathic personality disturbance by the American Psychiatric Association (APA). This allowed for the continuation of cruel Clockwork Orange-like attempts to “cure” men and women of homosexuality, using barbaric methods ranging from lobotomy to forced incarceration in mental wards. But there was one man who helped change the APA’s mind when it came to how they viewed homosexuality: Dr. John E. Fryer. While a member of the APA, Dr. Fryer was not out. At the time he was practicing medicine, and one could be disbarred from the APA for being gay, losing one’s entire career as a psychiatrist. Thus, he worked more behind the curtain. Confused and closeted men would come over to his apartment searching for help, where he would provide therapy and coaching. There was one speech that Dr. Fryer gave in 1972 that really swayed the APA to remove homosexuality as a mental disorder from the DSM (the American classification of mental disorders). However, he did not give the speech as himself. He gave the speech as Dr. Henry Anonymous, during which he wore a Halloween-like mask and used a voice modulator. He did this not only to protect his career, but also ironically, to make his voice more known. If he had given the speech as Dr. Fryer, the focus would have been on him, not his message. He wanted to make sure the APA listened to what he had to say. The play tells Dr. Fryer's story through those (now deceased) who loved and knew him best, featuring monologues from three different people in his life: a lawyer with whom he worked to help free men who were arrested of “gay-related” crimes, his secretary, 40 years his senior, who became his platonic life partner, and lastly, his father. Each narrative is not only supremely well-acted, it offers a unique insight into a different part of Dr. Fryer’s life, while also illustrating an element of what gay life was like for gay men and their straight friends and family members. That’s what makes 217 Boxes of Dr. Henry Anonymous so compelling. It provided a perspective of life in the '40s through the '80s that’s rarely represented in gay media. The first monologue, by lawyer and colleague of Dr. Fryer, Alfred A Gross (Derek Lucci), illustrates the sense of power that comes from living on the fringes of society. 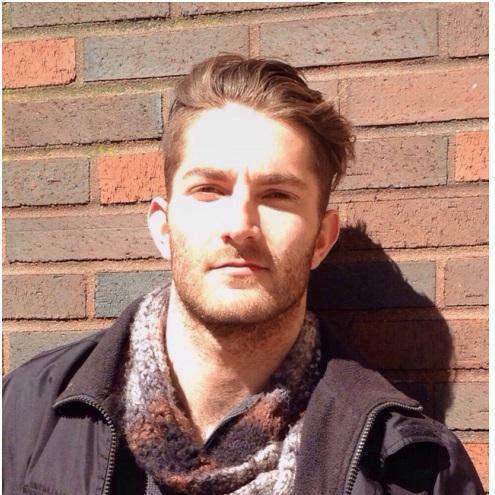 He articulates the beauty and community that ironically comes from living in the shadows, where gay men were only able to be intimate with other men in secret. We existed everywhere, but our job was to make sure you didn’t know we were there. That was something we, gay men, excelled at. Yes, there were hardships. Of course there were. Yes, men are much more able to live their lives openly as gay men now. But he laments a sense of loss that comes from no longer needing a sense of anonymity. The second monologue stars his secretary Katherine M. Luder (Laura Esterman). She spent 24-years as Dr. Fryer’s personal secretary, working right up to her death at the age of 91. She loved him, and he loved her. They were platonic life partners. But do not pity her fate. While a non-traditional relationship, it was a beautiful and meaningful relationship nonetheless. Not one she would have ever traded in for a more traditional sexual relationship with a straight man. And then lastly, Ercel Fryer (Ken Marks), John’s father, tells the story of what happened that fateful day when his son, donning a mask, explained how homosexuality is neither a sin nor a mental disorder. Ercel allows you to realize that truly nothing—no rights we have now—would have happened without his son. If homosexuality was still considered a disease by medical professionals, we would not have the right to marry, we would be able to get fired for being gay in every state in the United States, and we would still subjected to barbaric torture methods to “cure” us from our illness. 217 Boxes of Dr. Henry Anonymous is a must-see for all gay men, but even more so for queer millennials. The phrase "knowing our history" is something that’s thrown out time and time again, yet here is one man who many queer people under the age of 35 know nothing about. It’s about time we recognized him for all the work he did for us. 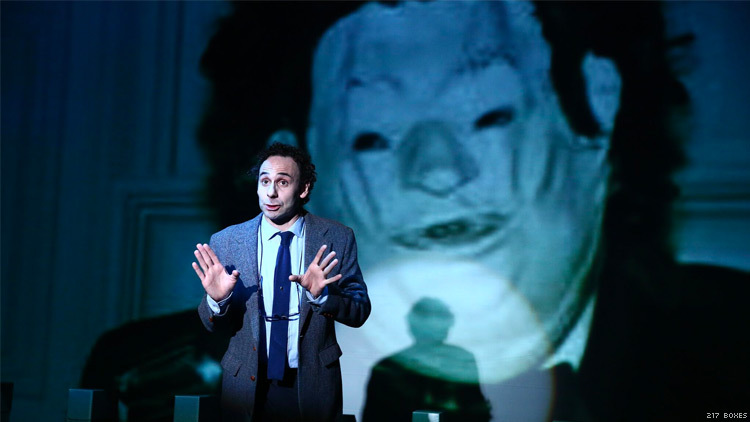 217 Boxes of Dr. Henry Anonymous is running at New York City's Baryshnikov Arts Center until May 11. You can buy tickets here!